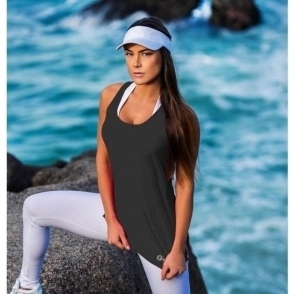 Classic Black top designed for both fitness and fashion. It is made from one of our new fabrics called Effect, which is super stretchy and comfortable, and just hangs beautifully. 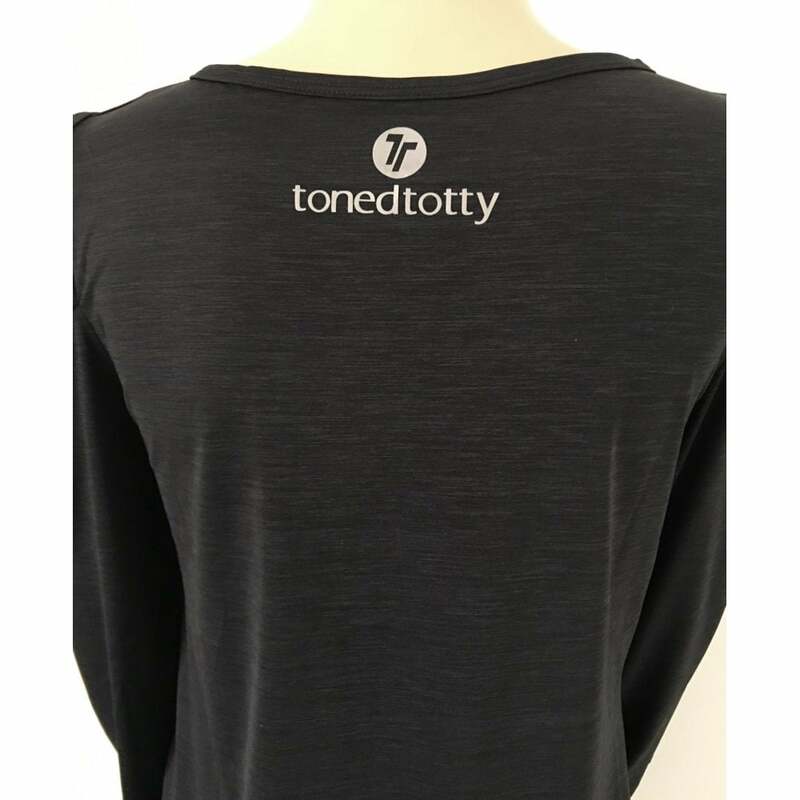 It is moisture wicking and stink free. 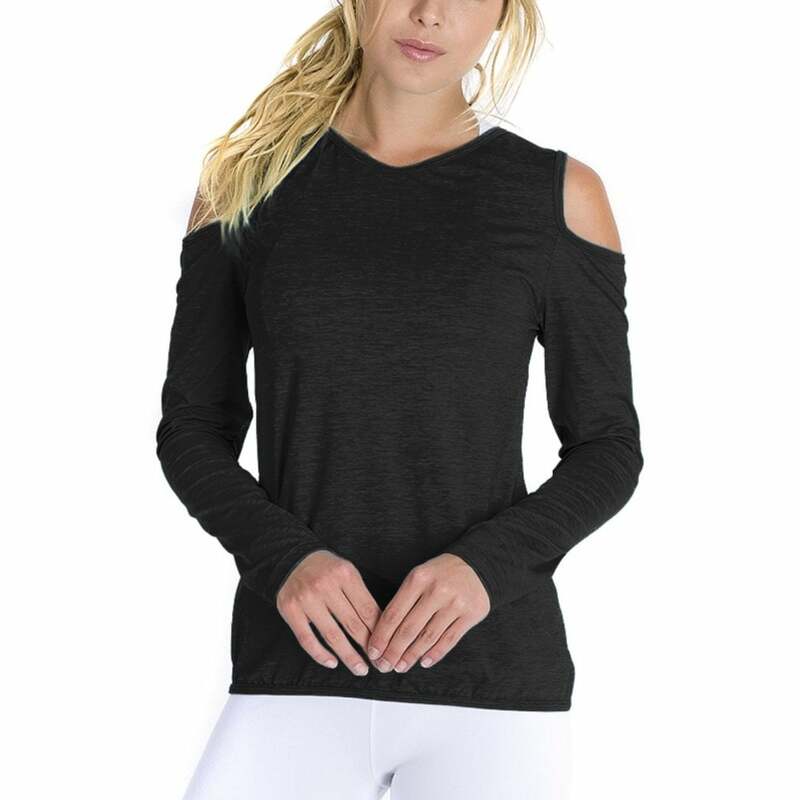 This top features a lovely cutout shoulder design.